Anastasia: Hello my dear beautiful beings, my name is Anastasia and I communicate with whales and dolphins and bring your wisdom and knowledge to humans who are interested in what you have to say. I had a woman who loves cetaceans write me today about you being stuk under the ice in Hudson Bay and asked me to speak with you. Do you have a message I can take back to our human pod? 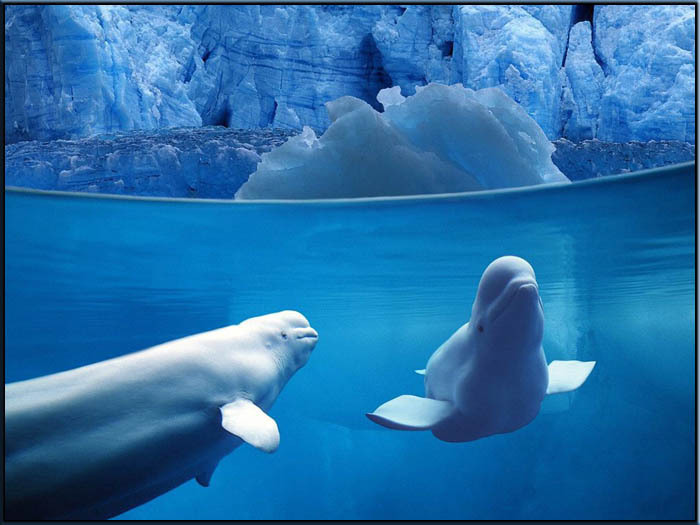 Belugas: We know who you are and we are honored that you give us a forum to talk to the human race. We love you all so much. We don't like to see you hurting and concerned for us in this situation. We are doing this to raise awareness for you. To allow you to see your greatness as we see your greatness. To allow you the freedom to be all you came here to be instead of being stuck and lead and confused about how wonderful and truly powerful each and every one of you are. Some of you will cry out - They are going to die, you have to stop this. What you humans don't understand that is the larger picture of life here that is playing out. This is just a blink of an eye. We all might very well die right here and now but in another dimension we will reappear almost immediately. 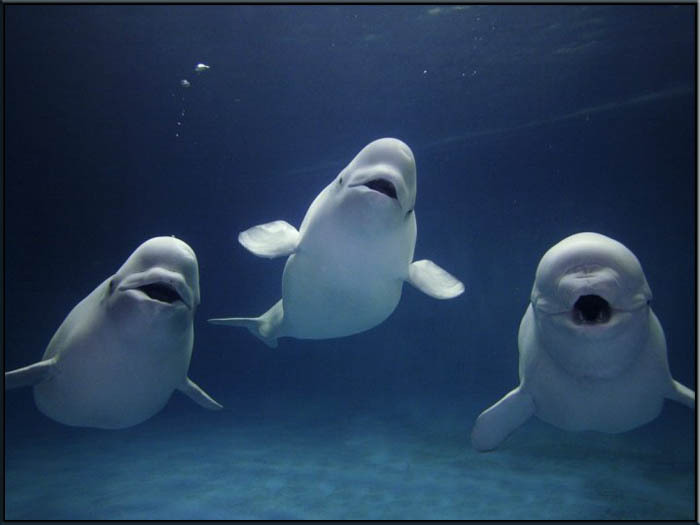 We may change form, we may choose to be belugas again or maybe even a big whale, like our ancient friends the Bowheads. Life and death are two very natural parts of multidimensional living. It is not the BE all and END all that you have learned as humans. It is just merely the blink of an eye and the beginning of something very new. What we would want to tell you humans is this. Don't get stuck on the death and dying part of life. It is the impetus for great things to come. It is the beginning of a new cycle of life. It should be celebrated not heart ripping. It should be admired and envied as a new adventure to fulfill. Not as a end to not so great significance on your Earth. Our life here has been wonderful, we have shared many things with many beings and many of our own kind here. What we want to share with you humans, is quit limiting yourselves. Quit thinking so small - quit thinking that death is the end. Death is the beginning of all life. It is the start of true living. Let your mundane lives die now. Dig deep within using all your resources to find your hearts desires - dig deep - find what makes you happy. Find what brings you true JOY every minute of every hour for every day you are able to walk or crawl on this earth. And when you run out of things that make you find complete happiness, then consider moving onto another dimension and truly leaving that human body of yours - but don't even consider this until you have truly LIVED - until you have truly known Bliss and Happiness. For now very few of you have truly lived. You have been blinded by your leaders, your financial institutions, your governments, your health care institutions, your food chain providers, your pharmacies, etc… etc… along with all your limitations that you put upon yourself that is. . . if you don't allow someone else to put them upon you first. Humans on Planet earth are so limited by their beliefs and what they have been told is truth. Truth is you have not lived until you let the old ways die. Until you find your own inner truths instead of believing what others tell you your truth is. So what I want to say to all of you. Let is all die - the lies, the mistruths, the misconceptions of how little and insignificant you truly are. Let that DIE now and allow yourselves to truly live . . . Like you have never EVER lived before. Find JOY in your journey, find your own truth through your deep connection to the Web of Life and especially your deep connection within yourself. Don't let your employers, your churches, your leaders, etc. . . tell you how you should be. Go into you heart and find time to BE still and ask you heart what makes you Joyfilled, Blissful and truly Happy. And then go do that. That would be a great start if every human let the old ways DIE now. Begin a new dimension for yourself and begin it now. Just like that in a blink of the eye. Do you dare? Why not, what have you truly got to lose beside JOY & Bliss-filled Happiness? That is what we want to tell you - BE your wonderful selves and be happy and loving to yourself and all other living things here on our Planet. That is the wisdom I would like to share with you today. And if we die here under the ice, know in your hearts that we have truly lived following our bliss and joy and that in a blink of an eye we will reappear somewhere else within this beautiful Universe looking for new ways to have more joy and bliss. Won't you join us? If you really want to help this situation with us under the ice - then follow our advice, let the OLD you die and find a new way of BEing in the remainder of this lifetime. And then you will give us great reason to sing about you in the oceans for ions of time. Brave pioneers on the road to happiness making great changes on a Planet that so needs to be rebirthed and transformed. That is what would make us happier than anything else. That you understand the bigger picture here and do not remain stuck any longer in small thinking. Remember how grand and powerful you are and empower yourself by startingfirst within your own hearts. EXPAND. We love you so! We want you to love you as much as we do. 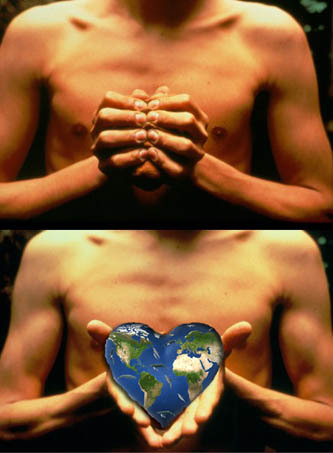 Our goal is to enlgihten the world and help them remember their connection to the Web of Life. Please click on the PayPal Button below to donate to this whaley wonderFULL cause. So many things to do in our world. Not only blessing the waters of Mother Earth and all the inhabitants of the Web of Life but also teaching others how to do this. As well as teaching others the Universal Language of mental telepathy aka animal communication with our elearning DVD - Whale Communicators: The Dolphin-Human-Whale Connection. It was the way I was able to heal myself and I wanted to teach others about what I learned when I thought life was no longer worth living. The magic of life just kept brimming with possibilities on the Web of Life. Every where I turned the animals were coaxing me to come out of my solitude and not wanting to live anymore. It is my dream to take this information about the wonderFULL magic upon the Web of Life to the indiginous people of our earth and help them relearn this or add this to their already rich heritiage and help us to help the world relearn this ancient language that empowers the human race and all of their 6th senses with this knowledge and wisdom. It is my dream to unite all of mankind and help us all remember our connection to the Web of Life and to each other - including all BEings. Please help us with a donation to this worthy and very large dream to help turn our world around. It will help usto further our work and help educate our world about this long forgotten language that enhances the magic in life and empowers the human race. Sharing the Universal Language of the Whales, Dolphins and all life upon the Web. This elearning dvd is for anyone who loves whales and anyone who wants to learn or to improve their inutiive abilities and their telepathic skills. Anyone can do this. Click here for more information. 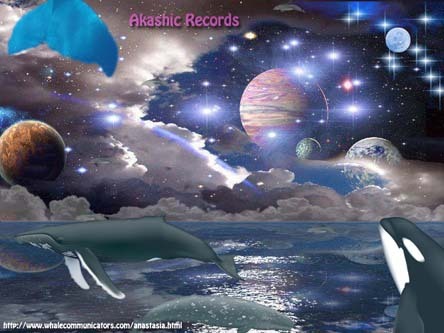 Whales have long been known as the keepers of the askashic records for our Universe. Some say they are the record keepers for all records, not just the akashic records. Empower yourself by leaving behind all that now longer serves you. Click here for more information on these incredible clearings that help you to become all you were meant to ever BE in this lifetime. Your donations will help out with educational programs, free DVDs for students, learning tools and supplies, gas & travel expenses, internships, and opening human hearts all over this great Planet Earth. Thank You for you continued support and emails. Please if you know of others that can help contribute to this worthy and whaley needed earth cause, please share this page with them as well. Mother Earth the whales dolphins and all BEings on the Web of Life can use our assistance at this time on our Planet.